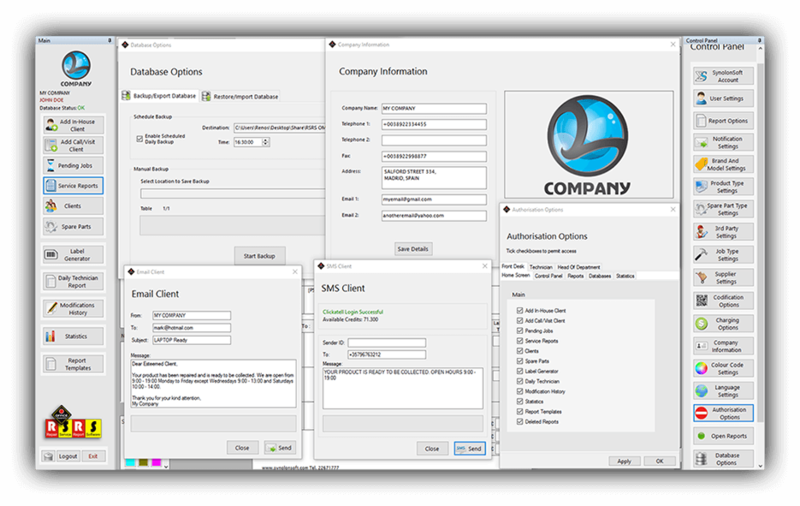 User has visual contact and direct access to the Main Panel and Control Panel at all times, with the ability to hide either if he so wishes. Any chosen Window or Report is docked in between and fully re-sizable. 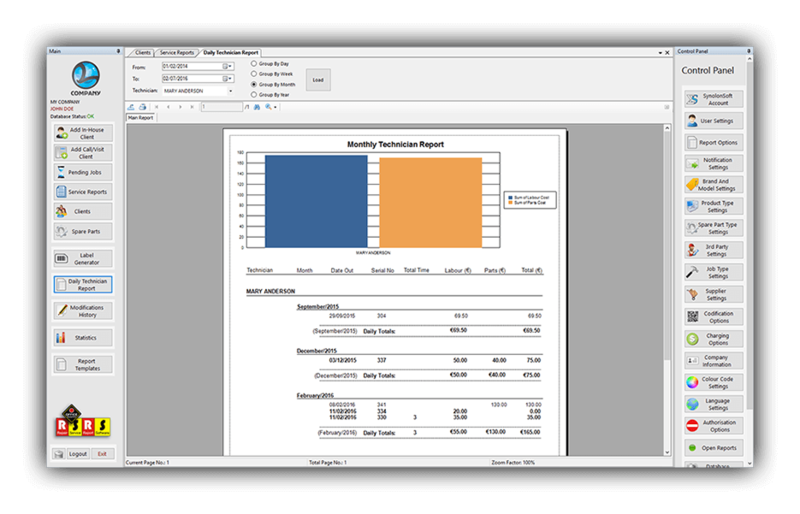 In the case of the image on the right, a Service Report is docked with its relevant assistance windows such as Job Status, Allocation History, Product History, Color Code Settings, Notes, etc. 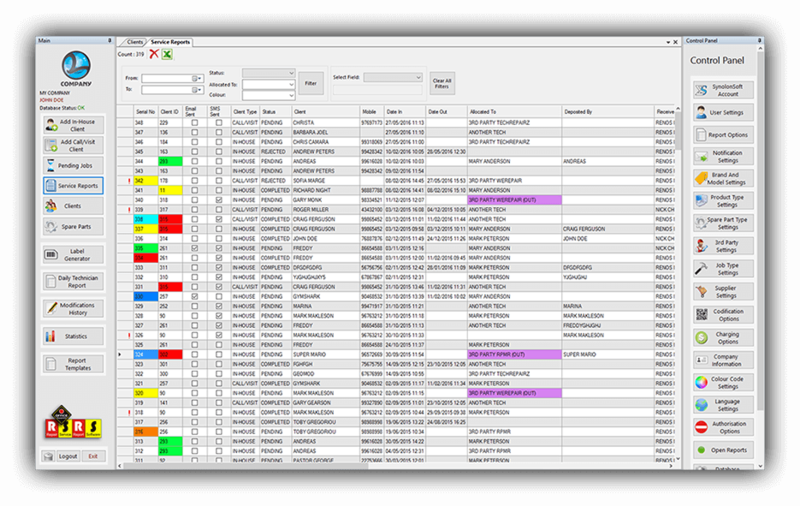 This is a simple, easy to use client database with relevant information such as addresses and communication channels. 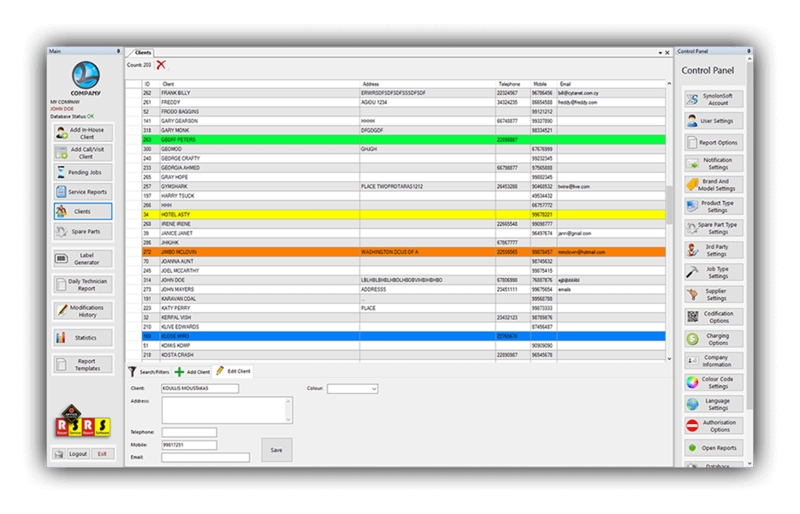 This is a detailed Service Reports database with information that refers to all client’s products that have been serviced, repaired, upgraded or otherwise processed in the Service Department. A comprehensive list of all Spare Parts both new and used in stock. 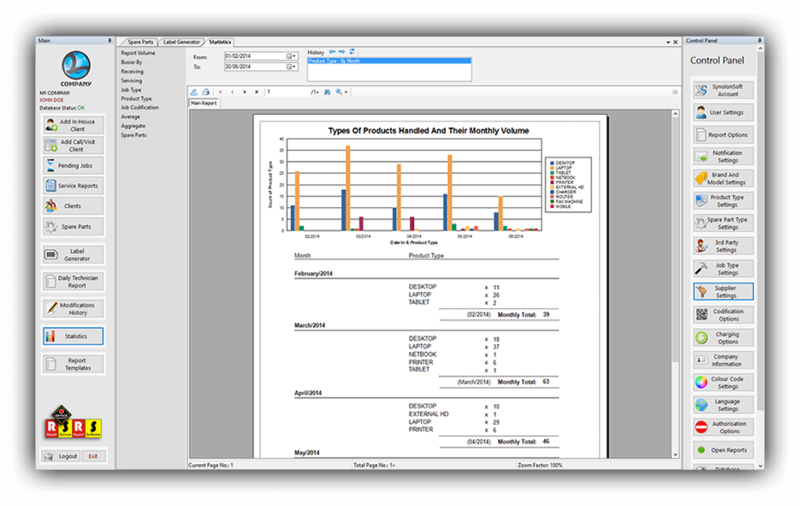 View important Spare Parts data at a glance. A detailed report on each technician's performance in the technical department. 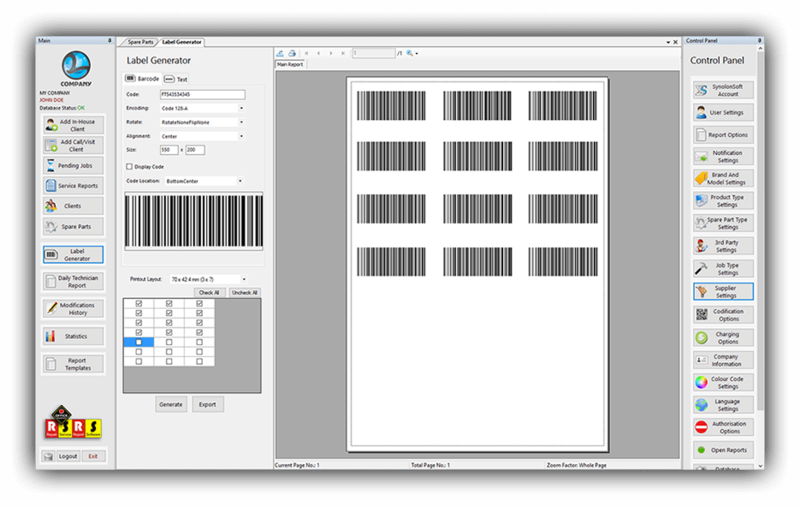 This is a powerful yet simple tool enabling the user to generate and print both Barcodes and Text Labels. Text label generator, with adjustable fonts, font size, style, and color. 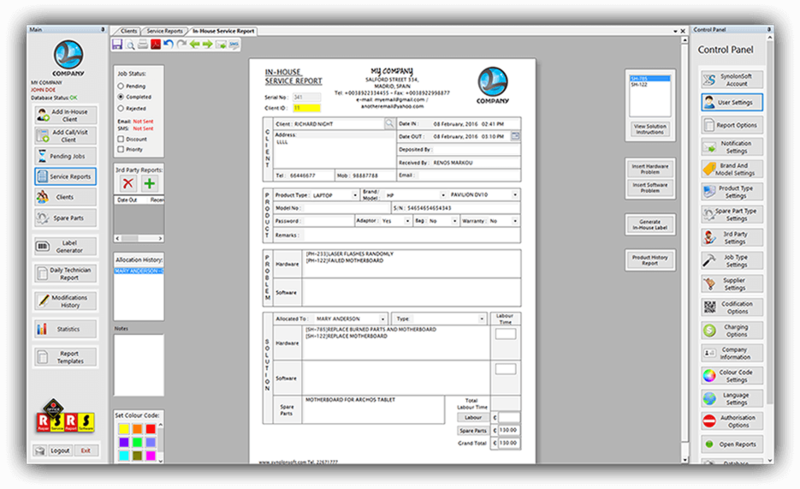 A possible use is printing the personal info of a client into a label for use on the product itself, on envelopes etc. 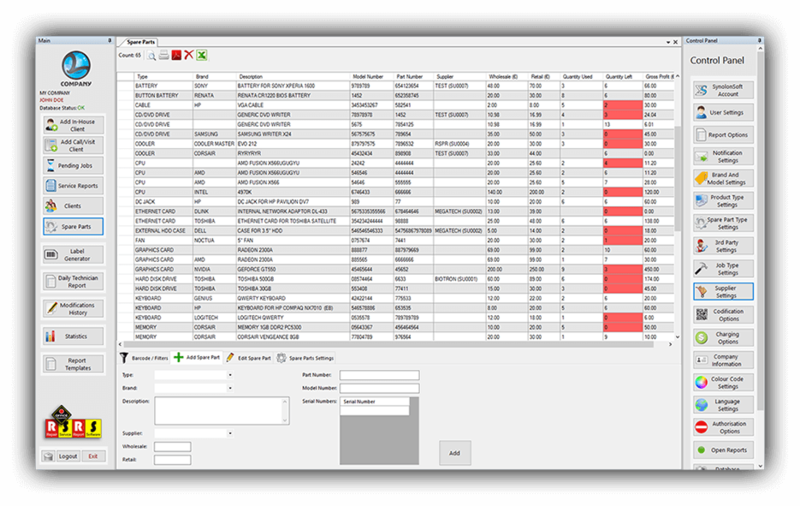 This is a tool enabling the user to generate a plethora of statistical data regarding the running of the Service Department. in Technical Departments and Repair Shops. You can read about our history here. © 2016 SynolonSoft. All Rights Reserved.